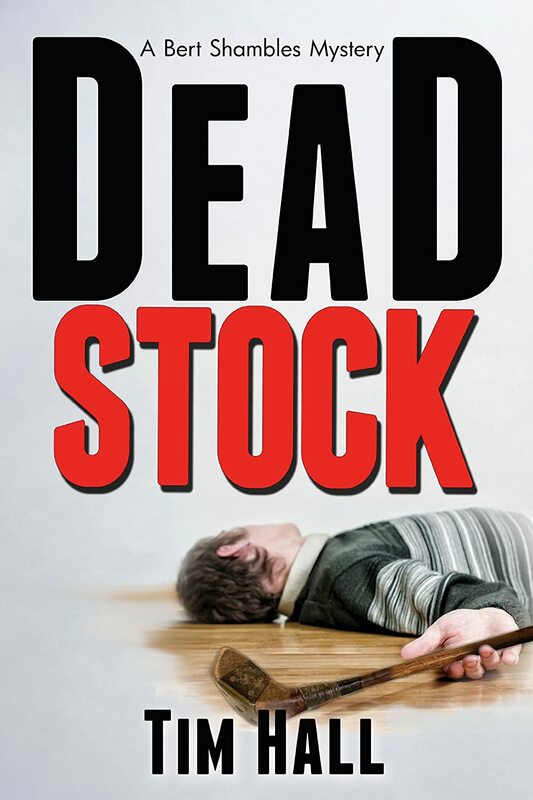 When reading Dead Stock, it’s difficult to determine what is bigger, Hall’s imagination, heart, or sense of humor. Shambles is an amazing character. Whoever said that thing about how no man is an island probably doesn’t live on one. Meet Bert Shambles, a perpetually confused young man whose life mirrors his surname. He’s stuck back in his suburban Long Island hometown, enduring a three-year suspended sentence for an act of chivalry gone terribly wrong. He works part-time at a church thrift shop and makes extra money by selling “dead stock”—vintage clothes that have never been worn—to a local boutique. While recovering from the injuries he sustained in his first adventure (Dead Stock), Bert is recognized at the local library by a beautiful, fun-loving hippie, who invites him to a music festival at a nearby park. While there, they witness the tragic electrocution of the lead singer. Was it an accident, or something more shocking? Before long, Bert finds himself embroiled in a deadly mess involving experimental drugs, valuable rock memorabilia, and a violent biker gang. But it’s not until his girlfriend returns unexpectedly from vacation and finds Bert in a compromising situation that his life feels truly in danger.